If you are changing vehicles through lease swapping, you will also need to change over your car insurance. 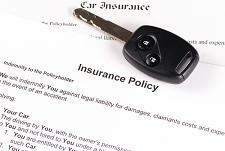 However, many people are unfamiliar with the wide range of options and special terminology involved in insuring a car. This can cause people to leave costly holes in their insurance coverage. Premium – The amount you pay for the insurance, either each month or every six months. Deductible – The amount you have to pay for yourself in the event of an accident. The insurance company only pays for damages above the deductible (and up to your coverage limits). Property damage liability – This covers damage that you cause to someone else’s property (usually their car) in an accident, assuming you are at fault. Bodily injury liability – This covers the medical costs of the other driver and passengers if they are injured in an accident you cause. Collision – If you hit another car and the collision is your fault, collision insurance pays for the damage to your own vehicle. Comprehensive – Comprehensive insurance covers the repair or replacement of your car when no other vehicle is involved. Examples would include someone stealing your car, flood damage or a tree falling on your vehicle. Medical payments – Medical payments (or “med pay”) insurance is an option that pays the medical expenses of you and your passengers, regardless of who is at fault. Personal injury protection – Personal injury protection (or “PIP”) is similar to medical payments insurance, but also covers expenses such as funerals or in-home care. You typically would not get both med pay and PIP when insuring a car; just one or the other. Uninsured or underinsured motorist – This covers your expenses if you are hit by a driver without liability insurance, or with low coverage limits. Gap – Gap insurance is used in leasing to cover any gap between the book value and the actual value of the car. If you need help finding the right car or the right insurance for it, please contact us at Swapalease.com. This entry was posted in Car Insurance and tagged deductible, gap insurance, insurance company, insurance rates, insuring a car, liability insurance, premium by admin. Bookmark the permalink.